An official tie-in edition to accompany Richard Ayoade's brilliant new film based on Dostoyevsky's deliciously dark and slyly funny novel. 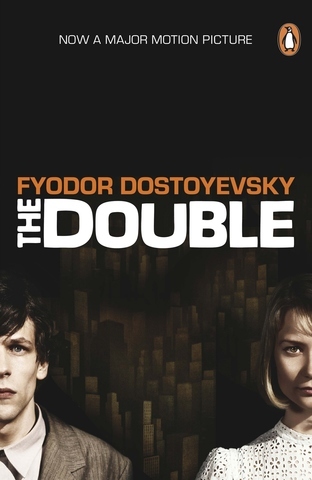 The Double stars Oscar nominee Jesse Eisenberg (The Social Network) and Mia Wasikowska (Jane Eyre) with support from Chris O'Dowd, Sally Hawkins, Paddy Considine, Tim Key and Chris Morris. A lonely government clerk - shy, awkward, blundering - finds himself pursued by a mysterious stranger. Somehow he looks familiar. In fact, he realizes, he looks exactly like him. He even has the same name. But, unlike him, he is charming and confident. Soon the stranger starts insinuating himself into his life. He works at his office, stays at his apartment, ingratiates himself with his colleagues. No one seems surprised. Who is he? What does he want? Is he a double, or something darker altogether? Moscow-born Fyodor Dostoyevsky (1821-1881) served time in a convict prison in Siberia for his political alliances, and in his later years his passion for gambling led him deeply into debt. His many brilliant novels include Crime and Punishment, The Idiot and The Brothers Karamazov. Ronald Wilks has translated numerous Russian volumes for Penguin Classics, including works by Chekhov, Sologub, Tolstoy and Gogol. If you enjoy this novel, you may want to read more by Dostoyevsky - his major novels and stories are all available in Penguin Classics, including Notes from Underground, Crime and Punishment, The Gambler and Other Stories, The Idiot, Demons, Netochka Nezvanova, The Brothers Karamazov, Poor Folk and Other Stories, The House of the Dead and The Village of Stepanchikovo.